March was a busy month for HubSpot. Not only did it capture the title of “Best Company Culture in Tech” in OpenView’s first annual Cultural-Fit-ology March Madness Tournament, it also released The HubSpot Culture Code, a presentation of the company’s beliefs, values, and practices that — as of this writing — has racked up nearly 300K views since its release in late March. HubSpot’s strong emphasis on company culture has been well documented, but the Culture Code may be the biggest indication of the sheer depth of the company’s investment yet. By his own count, Shah devoted nearly 200 hours to writing the Culture Code. With HubSpot growing at a rapid pace of roughly 30 new employees a month, it is a devotion that seems both effective and necessary. 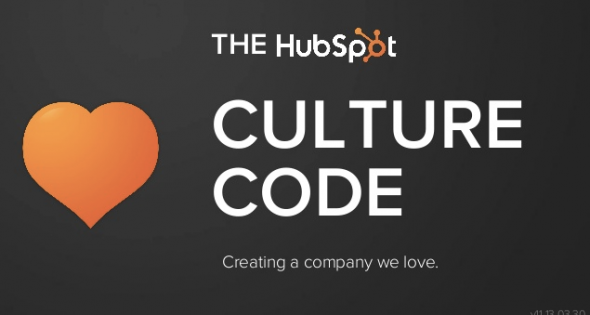 Read the full interview for insights into developing your own thriving company culture, and check out the complete HubSpot Culture Code deck below. 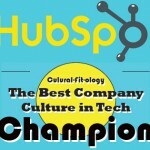 OpenView: What is the story behind the HubSpot Culture Code? What compelled you to compile and release it now? 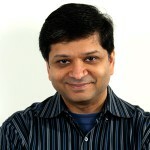 Dharmesh Shah: The original culture code deck was created years ago. It primarily focused on “people patterns” (i.e. documented what kinds of people tended to do well at HubSpot). We used that original deck internally for hiring and reviews. 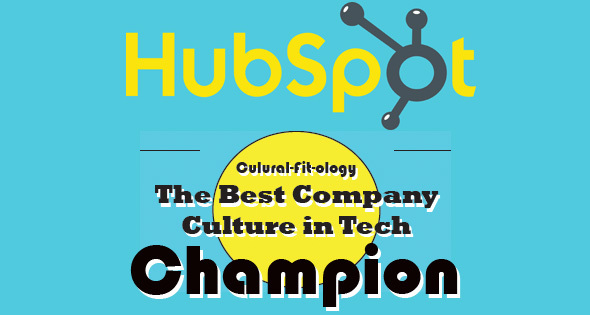 We routinely talked about whether or not someone fit our culture at HubSpot, so that first version has been useful. But, I was hearing feedback from the team that we should update it. The first version didn’t really go far enough. The goal with the updated version was to not just address the who but also the how and the why. OV: How important is it for companies to set a “guiding goal” that all other goals should support? How did HubSpot arrive at “delighting customers” and do you have any tips for companies to help them arrive at their own? DS: I think having a guiding goal is very useful. It helps ensure that everyone is pulling in the same direction. In our case, we’ve always been obsessed with metrics and measuring the business. The number we’ve likely been most obsessed about is customer happiness and the related customer retention rate. We considered making “customer retention” the guiding goal, but that didn’t quite seem right. Customer retention is a by-product of delighting customers. It’s not the goal, itself. OV: At HubSpot, you place a lot of value in placing the team, the company, and the customer above individual employees, but also in creating an environment where employees want to work. How do you find even ground between encouraging employees to love what they do and make it their passion vs. also encouraging them to maintain a healthy work-life balance? 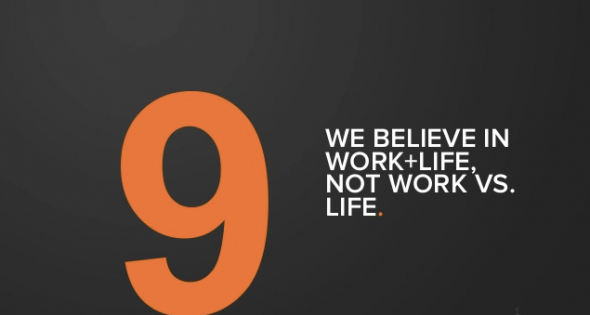 DS: We think work-life balance is tricky thing — and also misguided. The objective should not be to have an unhappy life at work, and then “balance it out” by being happy in life. That doesn’t work. What we need is to be able to be happy at work, AND happy at life. Exceptional Peers: People they can learn from. Challenging Projects: Which provide gratification. Social Collaboration: The ability to work with other people. And, of course, there are the physical things like an office that is well lit, desks and chairs that are comfortable, etc. In terms of the being healthy at work, we’re continuing evolve how we think about this. Everything from the free food that’s stocked in the kitchen to yoga classes and other things. OV: Creative perks and non-traditional policies have become a bit of a derided cliché at tech companies, but the ones highlighted in the Culture Code deck stand apart — they’re less materialistic and come with responsibility. 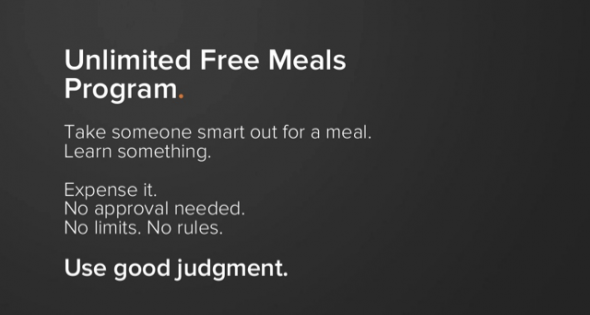 They also tie directly in with the core values (thinking specifically of the Unlimited Free Meals Program, which allows employees to take smart influencers out for a meal to network and learn from them and expense it). Can you talk a little bit about that policy in particular, but also speak to the considerations that go into your policies and why it’s important to make them truly meaningful? DS: One of the core tenets of HubSpot culture is that we want to increase individual market value. In other words, we want someone’s currency to have risen higher at HubSpot than any other place they could have gone. We think this focus on individual market value will make for a better, higher-performing team — but it also helps with attracting exceptional people. People who like to learn, grow, and advance. Now, one of the tricky parts is balancing where we spend our “culture budget”. We have some of the same perks that other tech companies, but want to skew towards spending money on things that increase individual market value. Less parties, more personal progress. (Having said that, we have our fair share of parties). OV: Can you explain what the HubSpot Alumni program is and describe the thinking that went into it? DS: It’s a simple program. If you “graduated” from HubSpot (i.e. moved on), you are invited to join an informal group of HubSpot Alumni (other people who have worked at HubSpot in the past). This is an independently run group. We don’t control it. About every quarter, the group gets together for a meeting. Current HubSpot employees are invited as guests. The structure of the meeting varies, but usually includes a Q&A with members of the HubSpot executive team, some startup pitches (from HubSpot alumni) and other topics. Last quarter, we had a alumnus speak on the topic of “Things I Learned At HubSpot But Didn’t Know I Learned” (or something along those lines). The motivation for the HubSpot Alumni group — and investing time in it — is simple. We think the people that join HubSpot are amazing people — that’s why we hired them. When they decide to move on (graduate), it is reasonable to expect that they will continue to be amazing people and do more remarkable things. We want to remain in touch and be friends. It’s a small world. We think HubSpot alumni will often go on to be HubSpot customers, partners — and maybe even shareholders some day. 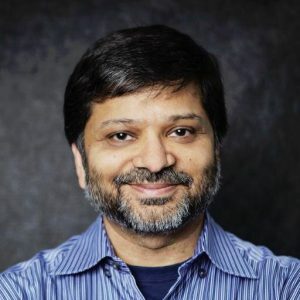 What questions do you have for Dharmesh Shah about developing company culture?